I don’t know about y’all, but it felt like a straight up Spring weekend! Complete with a bluebird sky and even a few flying bugs 🐜! 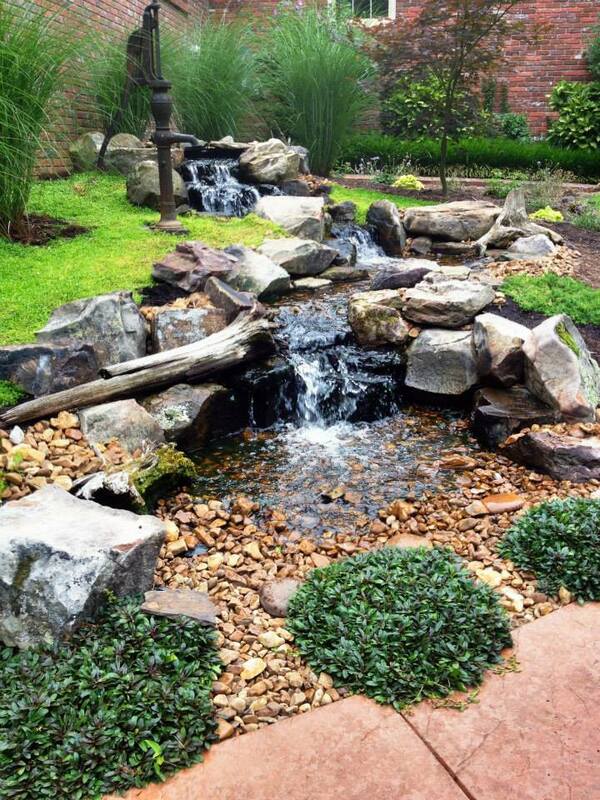 So, of course I ended up outside messing around the gardens & ponds 😊 I ❤️ It! I took this short video to share this morning, hopefully to extend this feeling of early Spring! The Koi are out moving nicely too. I think they heard what Punxsutawney Phil had to say about Spring as well 😊 I’m ready! Let’s try this again 😊 Yesterday I had someone tell me that a video I posted had gone bad. So I checked it and they were right, I don’t know what happened, but you can’t see it & I couldn’t fix it by editing… So, I figured I would repost it. Did you tune in today? If you did, you got a treat! FUN! 🙂 If you didn’t you missed a GREAT show! LOTS of calls and LOTS of TEXTS! WOW! Thanks for all the Love! 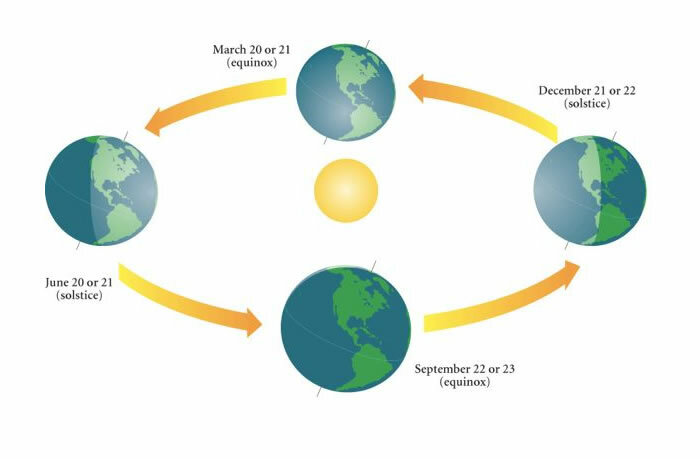 The Autumnal equinox is the moment when the Sun appears to cross the celestial equator, heading southward. The day and night times are equal! From here the days keep getting shorter until the Winter Solstice on December 21st. We also talked about the Moonlight Pond Tour! This is a rain or shine event and is a fundraiser for the Jackson Animal Care Center. 100% of the money goes to help them, so please come out and enjoy a great evening and know that you are helping the animals. Saturday, September 22nd is the night of the Moonlight Tour. Moonlight Pond Tour tickets are $20 ea. (kids under 12 are FREE!). 100% of ALL ticket sales & donations go to the Jackson Animal Care Center! 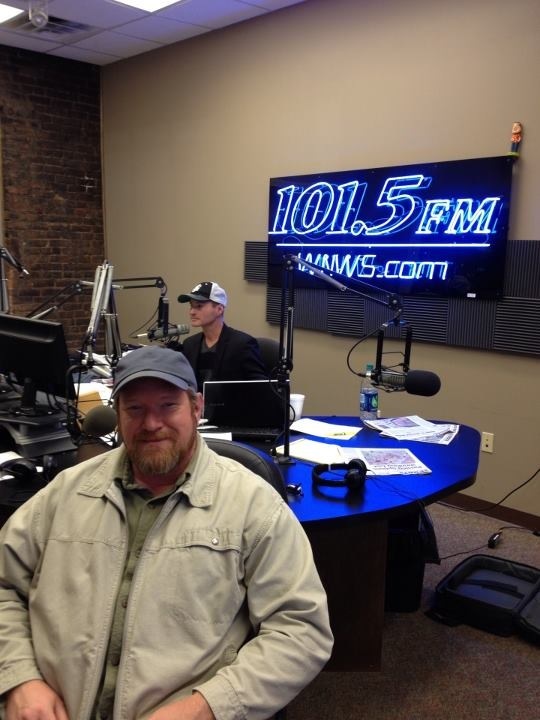 We also talked about a promotion that we are running at the Nursery on Koi and other Pond Fish! 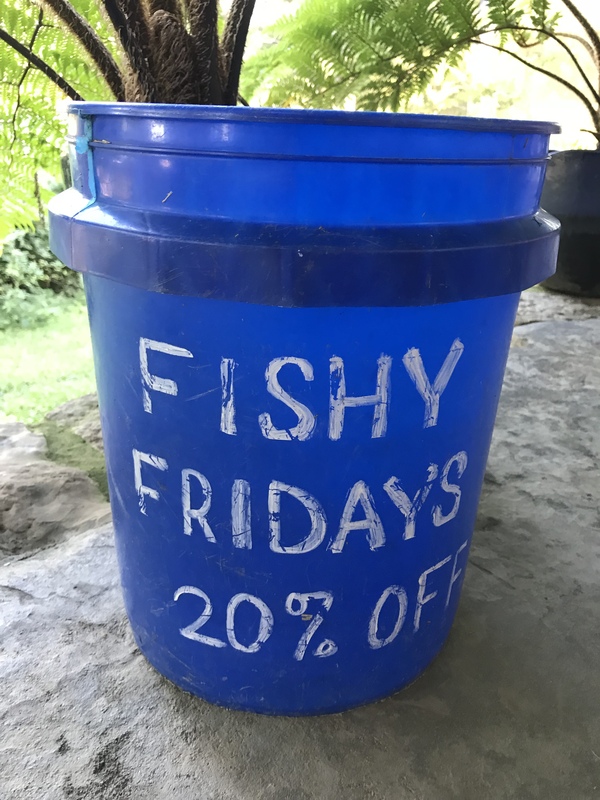 It’s called “Fishy Fridays” and f you have been wanting to get some new fish at a great price, this is for you! 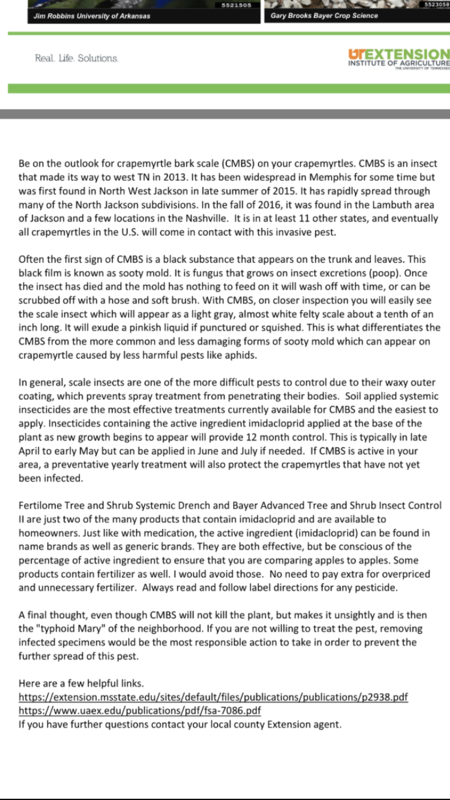 Thanks for the calls and texts and Thanks for a GREAT Summer season at Carters Nursery! We LOVE our customers and this whole community!